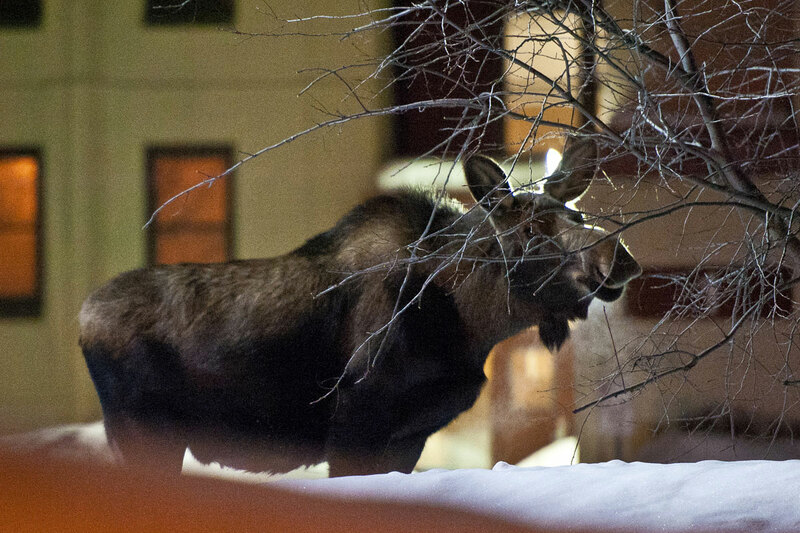 Petting a moose is not a good idea under any circumstances, the experts say, but at Joint Base Elmendorf-Richardson, Alaska, officials are warning airmen and their families to be especially careful about any encounters with moose this year. The unusually heavy snow this winter has reduced moose food supplies, making them especially cranky, Herman Griese, a civilian wildlife specialist at the base, said in a release Tuesday. Griese also said that with the snow still 3 feet deep in the area, the animals are more likely to be found on a sidewalk, driveway or bike path, especially if you’ve been kind enough to shovel it for them.